Wine Snob – In vino veritas. In vino sanitas. In vino veritas. In vino sanitas. Tonight’s occasion is a 2012 Touriga – Nacional by Quinta Dos Carvalhais. Touriga has been a mystery varietal for me for a while now. It is an obscure grape from Portugal. The closest varietal out here (common in California) I can think of is Cabernet Franc. Most Touriga read very similar. Like Cab Franc, they aren’t overly complex but what they do, the do exceedingly well. This one came out swinging and needed to open up. The nose is surprisingly subtle with 2 or 3 hidden floral notes I cannot pinpoint. Licorice, vanilla, and jasmine come to mind. Once opened up, the body becomes elusive and finish completely dominates. My kind of wine. This wine is still young with a hint of green. Get this and forget about it for another 5-10 years. We did a side-by-side with a Touriga based Red blend by the same winemaker. It’s a bit more of a bargain, definitely more of a pleaser too. A fantastic second bottle with lots of fruity oak/vanilla, jasmine, fuller body and much more subdued tannins. Makes perfect sense for this 57% Touriga Nacional. The only way you’d be able to stomach a 2017 Touriga Nacional is if you blend it down. Nonetheless both fantastic wines in their own right. However my heart is with the 2012 Touriga. It is so much more mature and an hour after opening, it really dominated our tasting. Tonight’s occasion is a 2014 Syrah by Dierberg Star Lane Vinyard. I posted a while back about my visit last year here. I wanted to try something special tonight so I reached for the Santa Barbara region in my cellar. Any mildly savvy palate should be able to identify the terrior in the nose alone. Very nice and rich. It prompted visuals of the vigneron (the one who tends to the vines) and contemplated all he/she put into those vines for the terrior to be so pronounced in the nose alone. A great, buttery, well balanced body (especially for a 14.2% ABV wine) a testament to the winemaker’s skill and craft. The finish is not as massive as your average California Syrah, but still has that signature tannic grip albeit restrained for a Syrah. This region is most known for it’s amazing Pinot Noir, so it’s always a treat to see what Syrah – a typically big bold wine – would taste like. I like what they’ve done with this Syrah. Great job! Tonight’s occasion is a 2007 Syrah by Rusack from Santa Barbara County. I posted a while back about my visit here. You know whenever I feel like tasting something truly special, this region never fails and Rusack is a must. This region is most known for its rich exquisite Pinot Noir, which is precisely why I picked up their Syrah. This 12 year old vintage is drinking perfect right now. Full of gentle subtle aromas, a wide body devoid of any overbearing character and a finish that’ll make you do a double-take as it starts fading and then quickly gets overwhelmed with a long gentle, enduring tannic grip. This is my kind of wine! Great work Rusack! This wine is a great candidate for your term reserve. You can pick up their current vintages and lay them down for another 5 years or more. I have some 2014 I picked up on this trip as well and I very much look forward to opening them 7 years from now. The good news is they have an extensive list of well priced library wines you can pick from. These will give you an idea of how they will age. Tonight’s occasion is a 2005 Barbaresco, Roncaglie, Poderi CollaRoncaglie, Poderi Colla. WOW!!! This 14 year old vintage still packs a heavy punch. It comes right out of the bottle swinging with a big nose full of dirt, terroir and aromas that instantly dominate the immediate space. A thick chewy body followed by a massive tannic finish that feels like it has no intention of fading or backing down without a fight. I absolutely love the wine and the boat loads of attitude it has. Very unusual for a Barbaresco which tends to be on the mild side of the Nebbiolo variety. If you’re wondering what a big bold wine tastes like, then you really have to try this. The good news is you might be able to find it at your local Total Wine and every now and then you will find an older vintage like this or close. Worth every penny. In WineSnob Heaven you get to sleep in a wine barrel. Heaven is real! Heaven does truly exist and it is right here on Earth! Specifically in Portugal. I stumbled upon this gem of a winery in Portugal that has accommodations (read Hotel Rooms) you can book. What is so special about their accommodations? Well, I won’t bother you with the details but the short version is, YOU SLEEP IN A WINE BARREL!!! Please go to their website and explore it for yourself at here. My wind… I mean my mind is blown! I must go here! No question about it! Tonight’s occasion is a 2014 Merlot from Sonoma Valley by Kunde Family Winery. They put out a veritable lineup of quality wines. This one stood out to me in particular for one main reason: it has very big long lasting tannin, good structure and none of the overbearing fruit typical of most California Merlot. It’s overall posture lends itself to a very long and graceful aging perhaps just as much as their Century Vine old vine Zin, my other favorite in their lineup. It is a very understated wine in my opinion. I am building a vertical of this wine. I think it’ll be a real gem in another 5-10 years. If you are in the Sonoma area I highly recommend stopping by. 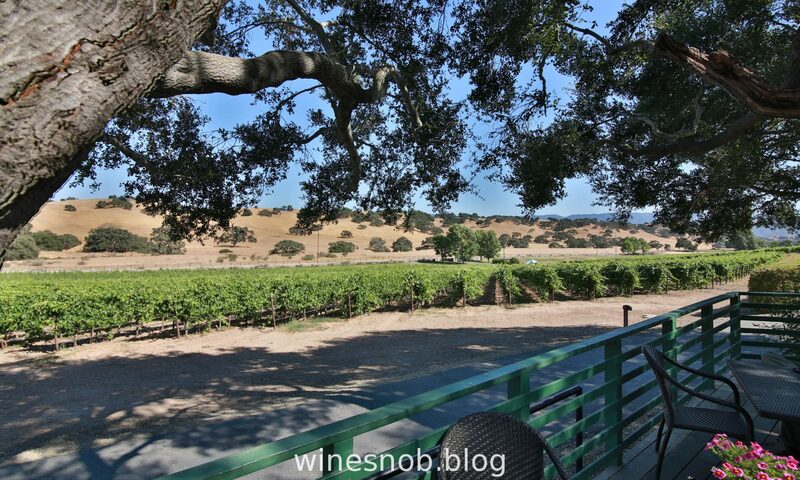 What’s your favorite winery in Sonoma? Tonight’s occasion we are checking in on this 2008 Merlot by ParaVi (formerly Primus) from the Sierra Foothills. This was one of my all-time favorite winemakers until they closed several years ago. Their top end flagship was a Merlot, very unusual and a testament to the winemakers skill and craft. This Merlot has lots of character, mild, subdued fruit, good oak, nice pepper and a finish with boat loads of tannin. My cellar is full of hidden gems like this that I’ve collected over the years, never to be seen again. Every sip bittersweet. Thanks to Coravin I’m able to save these gems and open them when they are peaking.